You are here: Home / #5for5BrainDump / Tell Your Stories: The World is Waiting…..
Tell Your Stories: The World is Waiting….. This was originally written as a #5for5BrainDump style piece of writing. As often happens when we allow free flow to have its way, some powerful words flooded through. I did not edit so please excuse grammatical and spelling errors. Around here we stand by “process is the new perfection.” (polishing comes, later). I was feeling nervous and overwhelmed by the process of re-orientation after a whirlwind out-of-town trip. Writing centered me. Timer set and…. the writing begins. I could so easily get overwhelmed and I am not going to. I am staying present. I am writing. I am remembering. I am writing as I am remembering and staying present. This is where I find the gold dust and the stories that are most important to be told find their way to the forefront and because I am taking a mere five minutes to write, the words find their way through my fingers onto the page and I grow in trust. Right here, right now and you are witnessing it. The world is waiting for your stories. Right now in Paducah, Poughkeepsie and Paris there are women sitting at their computers feeling slightly asleep and your exact story is the light they have been looking for even though neither of you know it. This was like a symphony playing in my ears personally for me. Belen was just speaking from her heart and she gave me such a gift in reflecting back to me what my stories have created for her. Feeling better. Me, showing up, telling my stories via a writing workshop and paving the way for her to tell her stories first on the page and then… beyond – makes her feel better, makes her world better and echoes out… everywhere she goes because…. I took the time out to tell my story. I got vulnerable and offered myself via a writing workshop. Why? Because I knew someone out there was calling me. In that case, it was someone named Belen. Next, it may be someone named… YOU who is writing or speaking or livestreaming or blogging… for someone specific to you that you don’t even know yet. The world is waiting for you. Take action. 5 minutes. That’s all it takes. 5 minutes + you = miracles. And the timer goes off and I sign off…. 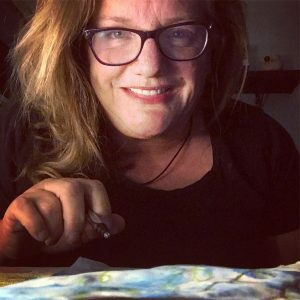 Julie Jordan Scott inspires people to experience artistic rebirth via #5for5BrainDump, livestream broadcasts, creativity playshops, books, performances and simply being herself out in the world. She is a writer, creative life coach, speaker, performance poet, Mommy-extraordinaire and mixed media artist whose Writing Camps and Writing Playgrounds permanently transform people’s creative lives. Watch for the announcement of new programs coming in soon! 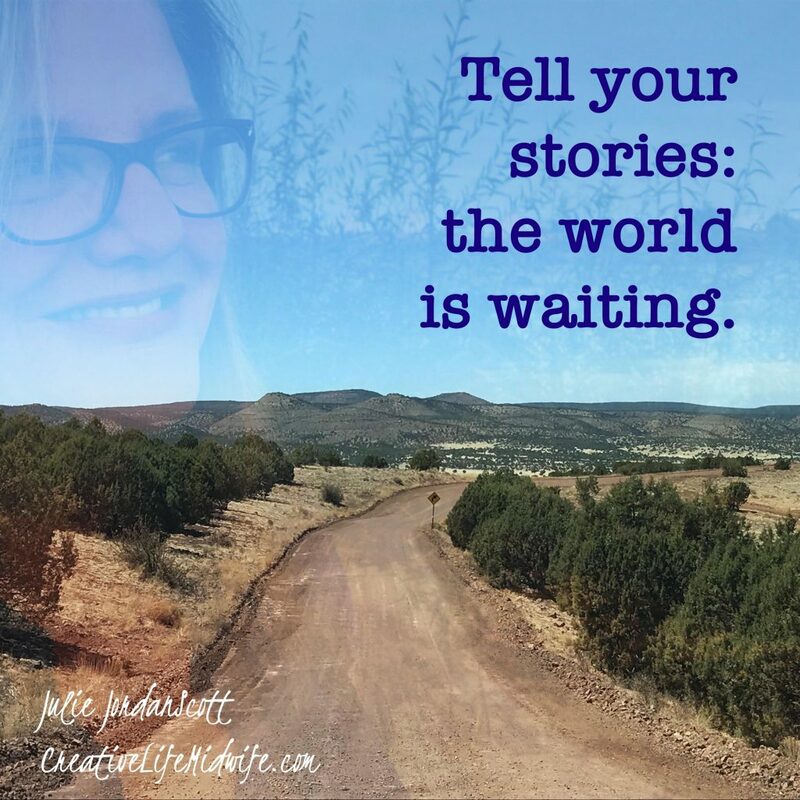 To contact Julie to schedule a Writing or Creative Life Coaching Session or to request she speak at your next event, call or text her at 661.444.2735.